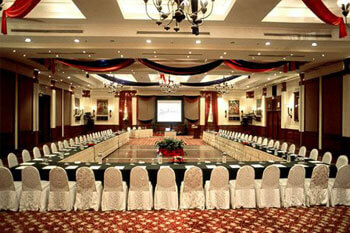 The Radisson Hotel Kathmandu offers 160 well-appointed rooms. Relax in our spacious hotel rooms while you enjoy amenities, such as high-speed Internet, mini bar and satellite television. For added comfort and amenities, reserve one of our Club Rooms. Take advantage of all the services offered at the Radisson, including our rooftop swimming pool; Health Club with sauna, steam rooms and exercise facilities; on-site restaurants and meeting rooms. Stay connected with our wide range of business services. The Fun Café, our Kathmandu hotel's 24-hour restaurant, offers delicious Western and Asian specialties. Olive Garden specializes in Indian, Chinese and Italian dishes, while the Splash Bar and Grill serves poolside snacks and beverages. The Radisson Hotel Kathmandu offers 160 beautifully appointed rooms, including Superior Rooms, Deluxe Rooms, Club Rooms and Suites. Enjoy convenient amenities, such as high-speed Internet access, satellite television and automatic wake-up call service. For an extra touch of comfort and class, our Kathmandu hotel offers Club Rooms, which provide additional amenities and space for the discerning traveler. Our Superior Rooms are tastefully furnished and provide stunning views of the surrounding mountains. These rooms feature comfortable beds, bedside tables, drop-down lights, a 21" television, mini bar, work desk with chair and large windows that provide plenty of natural light. A stunning bathroom is attached to all rooms. Some Superior Rooms are designed with parquet floors, while others are beautifully carpeted. 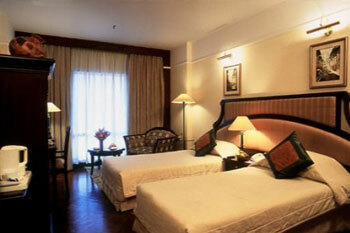 Deluxe Rooms at the Radisson Hotel Kathmandu are located on the second and third floors. These rooms include a stylish bathroom, comfortable sofa, flat-screen television, mini bar, beautiful parquet floors and all of the amenities of a Superior Room.